How SameDayShipping.com defends your goods from both damage and delay while reaching their destination on schedule. 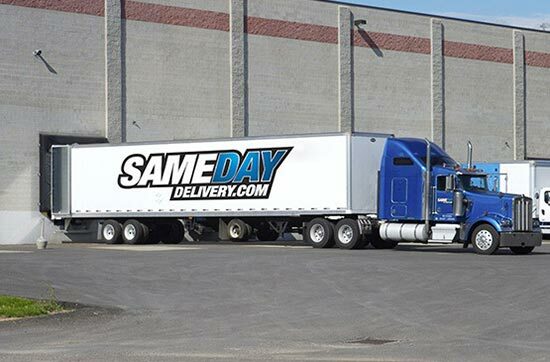 SameDayShipping.com is committed to resolving logistical difficulties quickly and effectively. Our team has more than a decade of experience providing swift, safe ground transportation, and is well positioned to pick up your goods and deliver them in a matter of hours. We also have extensive knowledge of critical freight, and know which storage methods are necessary to keep your items in good condition. When you choose SameDayShipping.com, you guarantee flexibility and punctuality under even the most difficult circumstances. A successful same day delivery over anything more than a few counties’ distance may seem like a pipe dream. Modern businesses have to truck in supplies and send out customer orders from other regions of the country or even other countries on a regular basis. Expecting to complete those deliveries within a matter of hours thus seems manifestly unreasonable. Yet when a firm is dealing with a shortage of essential supplies or a customer who won’t take “no” for an answer, such deliveries are the only way to save the situation. Omnipresent Operations - The only way to complete an order on the same day is to pick it up immediately and head straight for the destination. Since carriers don’t know where their next emergency shipment will come from, they have to have vehicles and coverages in a wide range of strategic locations. The more extensive their operational network, the better their chances of completing the order before the day is out. Effective Delay Evasion - Even if a carrier can get going before the end of the day, they won’t be able to complete the delivery on time if they get caught in a traffic jam, encounter a closed road, or are otherwise blocked from their path. It is thus essential to plan each route out carefully so as to avoid delays. Carriers must also provide their drivers with ongoing support so that they can detect and evade new delays as soon as they arise. Skilled Trucking Specialists - A carrier is only as good as their least skilled driver. In order to complete a delivery on schedule, it’s necessary for drivers to operate their trucks at the full legal speed while avoiding road hazards that could stop or slow down the journey. The carrier must carefully vet each driver, selecting only those with full training, experience, and commitment to good work. SameDayShipping.com prides itself on taking each of these precautions and more. We have a long history of offering rapid deliveries to businesses from vastly different industries, often on tight schedules and over great distances. No matter how challenging the task, we have consistently exceeded expectations, delivering our cargo on timelines that clients often did not think possible. Thus no matter how congested or backlogged your shipping lines have become, we will have no trouble clearing them up and getting you back to efficient, reliable deliveries. Critical Freight Consultation - Our expert team knows the storage and shipping needs of critical cargo backwards and forwards. Superior Customer Service - Our team will take your calls and answer your queries 24 hours a day, all week long. Schedule Switching- We provide both standard services on an established schedule and expedited freight to meet sudden logistical challenges. Extensive Experience - Our team brings all of our knowledge and experience to bear when organizing your shipments. Continental Coverage - We have coverage in key cities across the United States, as well as in most Canadian provinces. Prudent Pricing- Our services are available at a plethora of different price points, so you can fit your budget effortlessly. SameDayShipping.com understands that safety is just as important as speed when handling critical freight. For this reason, we take the full selection of safety precautions for your goods. This begins by placing teams of two drivers in each truck that has to cross a long distance. Our drivers are required to switch with each other on a regular basis, giving each a chance to rest, relax, and eat. As a result, both of them can recover their focus and energy without stopping the vehicle, so that they can drive safety once they retake the wheel. In addition to dual drivers, we use advanced tracking technology to monitor your shipment on the road. If there is a crash, we will detect it immediately and can promptly dispatch a replacement vehicle. This minimizes the risk to both your goods and our valued drivers. SameDayShipping.com is always available to handle your critical goods safely and effectively. For more information, call (800) 713-1000 or visit our website today.